Promoted Accounts: Turbo-charge the growth of your followers and convert those followers into customers. 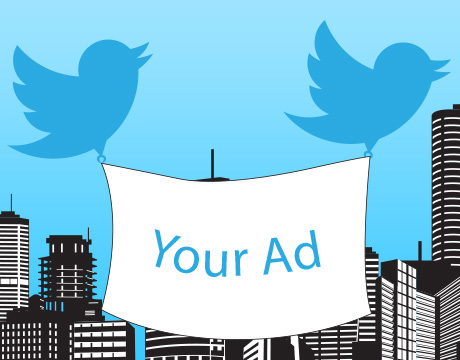 Promoted Tweets: Get more visibility for your tweets and drive more clicks and retweets. Pick a location to advertise and set a daily budget. Twitter promotes your business by putting your best tweets in front of more of the right people at the right time. You only pay for results. You are only charged when someone follows your Promoted Account (when you gain a follower) or engages with your Promoted Tweet (when someone clicks, retweets, replies to, or favorites your tweet). There is a lot of buzz around the new Twitter advertising. Currently, one third of small businesses in the US are using Twitter to promote their products & services. These businesses see the value of social marketing for growing and engaging their audience. They know that the right tweets convert people into customers, and turn customers into advocates. Also, Twitter followers tend to be more active and engaged than with other social networks. Drive results further by engaging a community with Twitter advertising and get your tweets in front of more of the right people. Twitter Advertising for small businesses is currently available to a select group of businesses via invitation only. Twitter plans on steadily increasing the number of participants in the coming weeks. Great article, I, too have been using Twitter for a long time and like you, admit that it’s not my favorite. I have been thinking that I should get a little deeper and learn more about it. I think I am missing out on an opportunity! !